For those that are looking for the closest thing to real tanned leather, this is it. 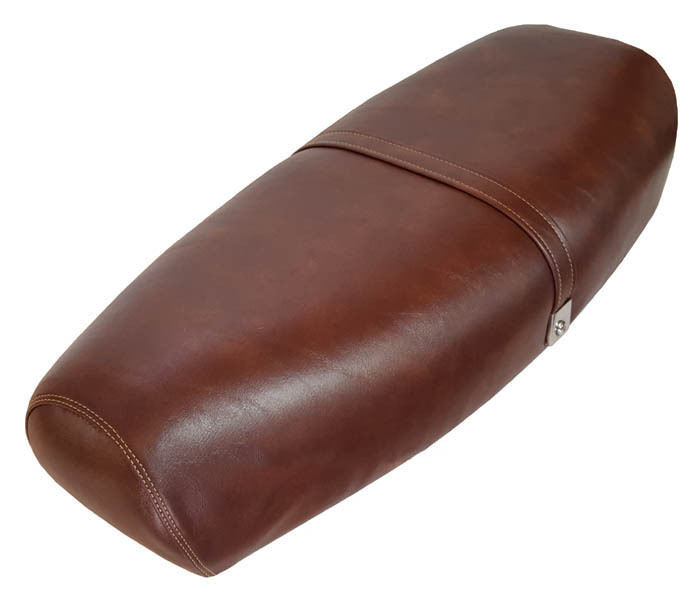 This seat cover has a rich sheen, while still maintaining the soft hand of an aged leather. This vinyl has great character and doesn't require the upkeep and conditioning associated with real leather. Waterproof and UV stabilized, this seat cover is meant to be out in the sun and rain, and stay looking gorgeous for a long time. 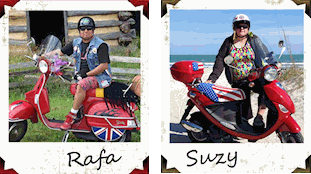 We have a Stella, and we hand tailor these seat covers with our fellow scooter riders in mind. We want you to look and feel like a million bucks. 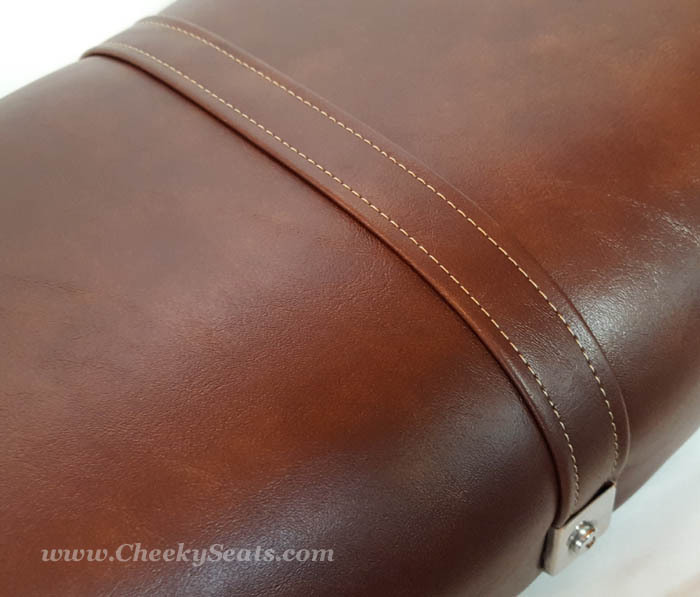 We have crafted this seat cover with beautiful contrasting thread to give the look of a very expensive leather seat, and we are also including a matching passenger strap, that we also make, using super strong webbing under the whiskey fabric. You will need to switch your own metal clips on the end of your strap to the new strap, it's a very easy process. No tools or staples needed. Our impeccably tailored covers fit like garments on your Genuine Stella seat. This is just the kind of signature accessory your Stella is calling for.